Damon Banning is a passionate 29-year-old Cinematographer, Editor from Sydney, Australia. Damon’s work is layered by television, commercial, documentary, fashion, lifestyle, music, travel, surf, water and extreme sports Productions. 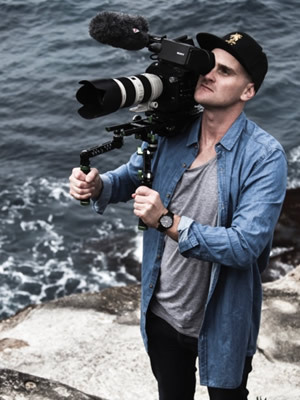 Growing up in a beachside suburb south of Sydney, Damon, from a young age sparked an interest in Cinematography and has developed a unique style in visual storytelling. Having extensive experience and expertise in the Film and Television industries, he is now freelancing in all fields. Damon prides himself in producing the highest quality of visual storytelling and is an owner/ operator of an expansive range of production and post-production equipment. He uses the Adobe Suite (Premiere Pro, After Effects, Photoshop), Final Cut Pro 7, Final Cut Pro X and DaVinci Resolve in Post Production.